I’ve done this Star Wars Boba Fett Tattoo Design as a piece of Art for an online charity auction ‘Art for Animals’ that a fellow tattoo artist is organising to help animal shelter homes. 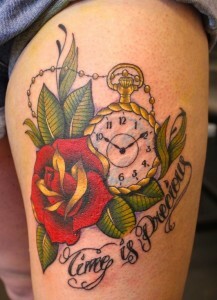 This is also available as a tattoo. 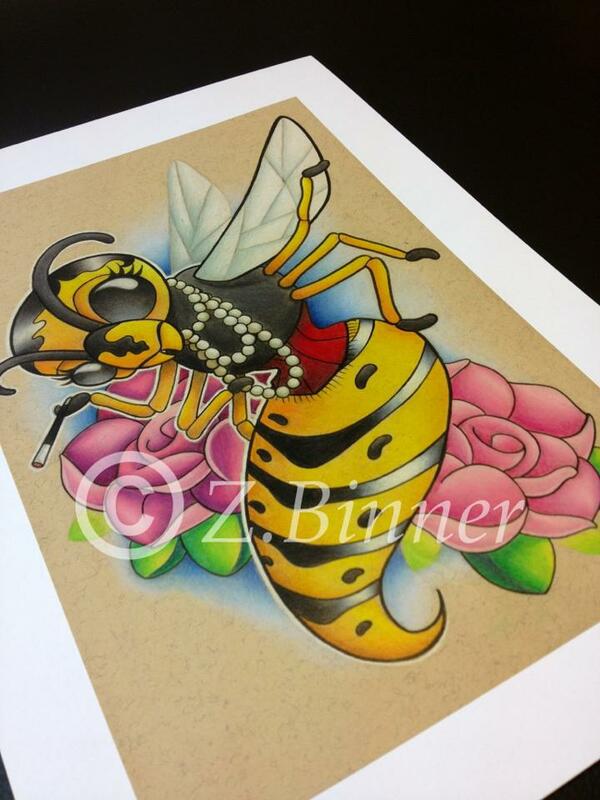 This is a New School style wasp design available as a tattoo. 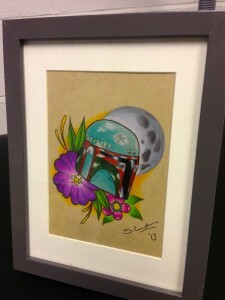 Also available as prints. This is a more traditional style tattoo of a dressmakers mannequin with cameo and roses. 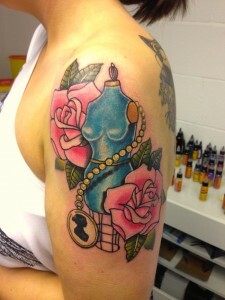 Part of a much bigger tattoo now. Pocket Watch and Rose tattoo – “Time Is Precious” – I couldn’t agree more. These are proving very popular at the moment. 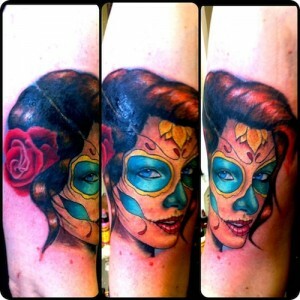 Day of the dead girls. These are loosely based on the Mexican Day of the dead skulls that are seen in Mexico’s Día de Muertos celebrations. Realistic Owl tattoo. 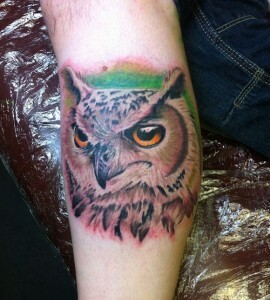 I really love tattooing birds, owl’s being one of my favorite. I’ve don a fair few different ones of these and they’ve always been fun! 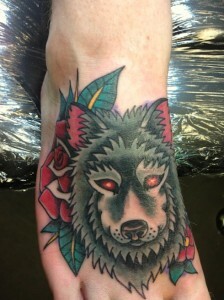 This is a traditional style tattoo that I was asked to do on a foot. 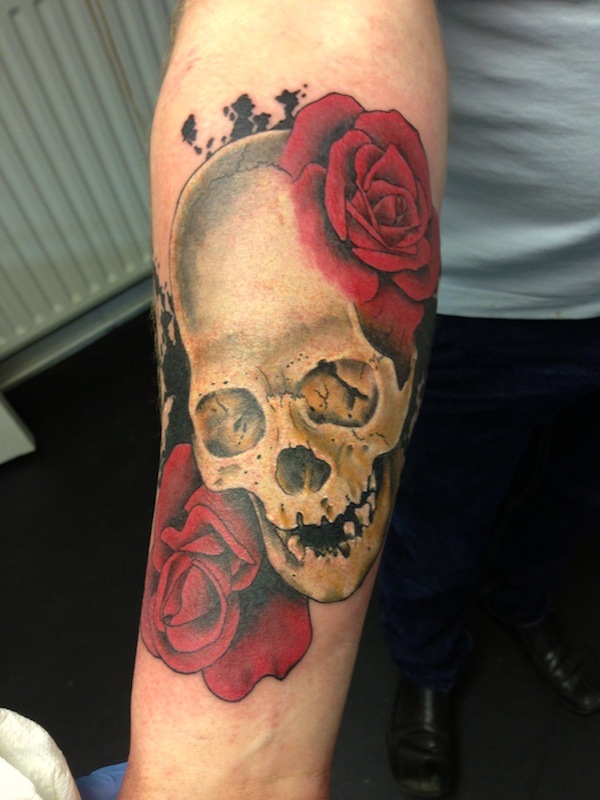 Skulls and roses are one of my favorite things to tattoo, i’ve done a fair few of them now, people seem to like them! So a customer came in with the tattoo shown on the far left on her arm that she had done in a house on her 18th birthday,…. She had been wearing long sleeve tops ever since. 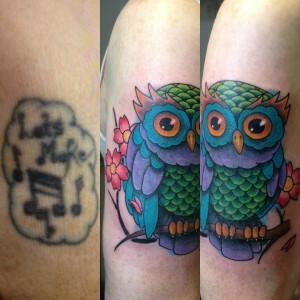 I covered it with this super bright and colourful traditional owl. Goodbye old tattoo, hello new! 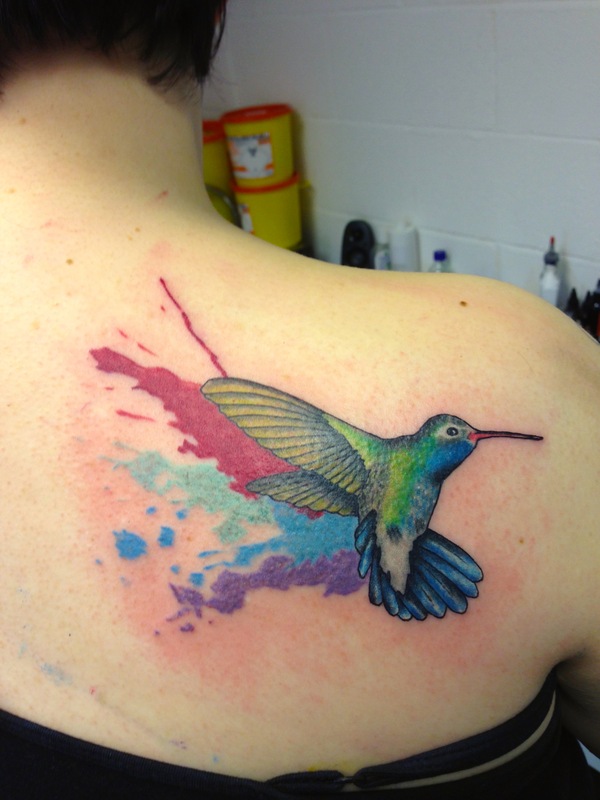 This was a full colour humming bird tattoo based on a design I had put together as a custom one off piece for the customer. Ear Piercing 101- Part One.